Lord Paul&apos;s Caparo Group and the University of Wolverhampton have teamed up to launch a £400,000 fund to turn research into start-up businesses. The CIC Investment Fund will provide funding to spin-out companies. The university has a longstanding relationship with the Caparo Innovation Centre. Meanwhile the university&apos;s new £18 million business school is to be named the Lord Swraj Paul Building. Lord Paul has been Chancellor of the university since 1999. 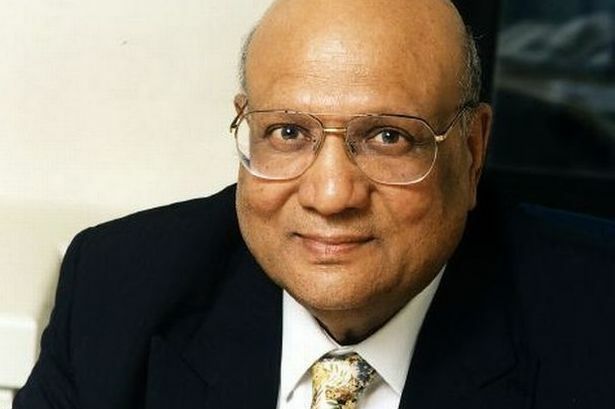 The worldwide growth of 85 year-old Lord Paul’s Black Country-based steel and engineering empire, the Caparo Group, came to an abrupt halt in the autumn of 2015, when 16 Caparo companies went into administration. And a business tragedy turned into a personal tragedy when Lord Paul’s son – 45 year-old Angad Paul who was chief executive of the company - jumped to his death from the balcony of the family&apos;s central London apartment. He had been suffering from depression. The father of two was married to lawyer Michelle Bonn. Caparo suffered from the turmoil affecting the steel sector, and its operations in the UK were hit hard by cheap imports. However most of its businesses were acquired by the Gupta family&apos;s Liberty House Group and most jobs were saved.